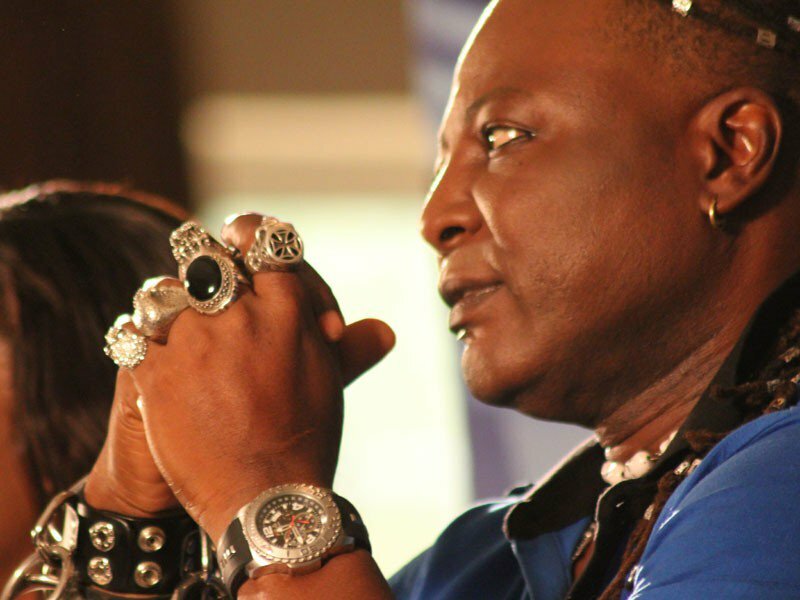 The veteran entertainer and convener of OurMumuDonDo made the remark while frowning at the sorry state of Nigeria Airways. 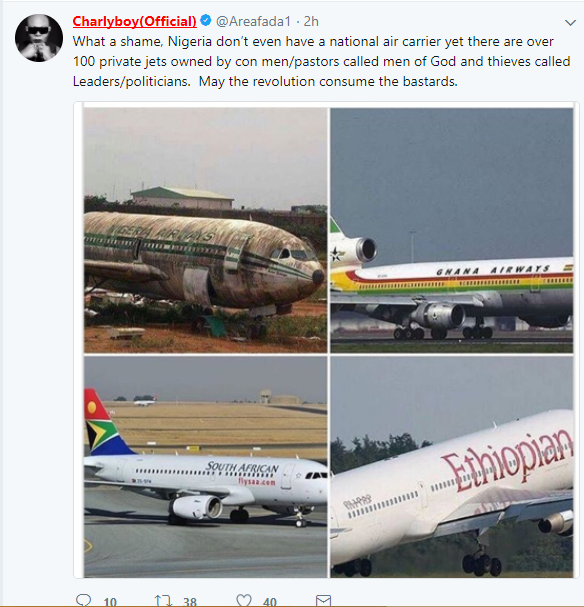 In a post via his Twitter handle, he shared some photographs juxtaposing other countries national carriers with the dead Nigerian Airways. “What a shame, Nigeria don’t even have a national air carrier yet there are over 100 private jets owned by con men/pastors called men of God and thieves called Leaders/politicians. Nigeria Airways Ltd was founded in 1958 after the dissolution of West African Airways Corporation (WAAC). It held the name WAAC Nigeria until 1971, when it was rebranded to the name it had until it ceased operations in 2003.